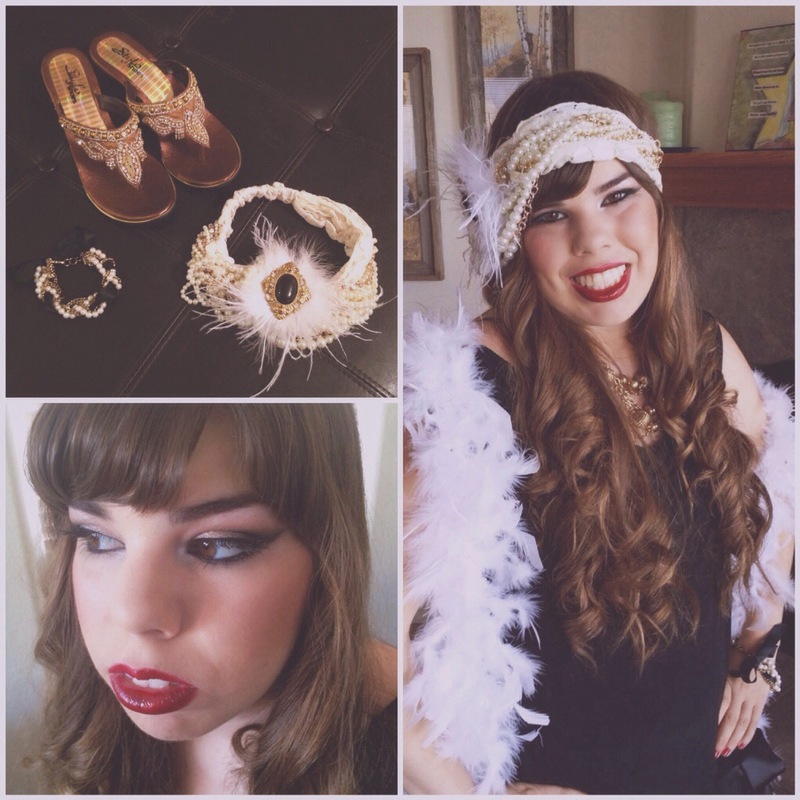 My little sister Breezie went to her senior prom this last weekend at it was a Great Gatsby theme. 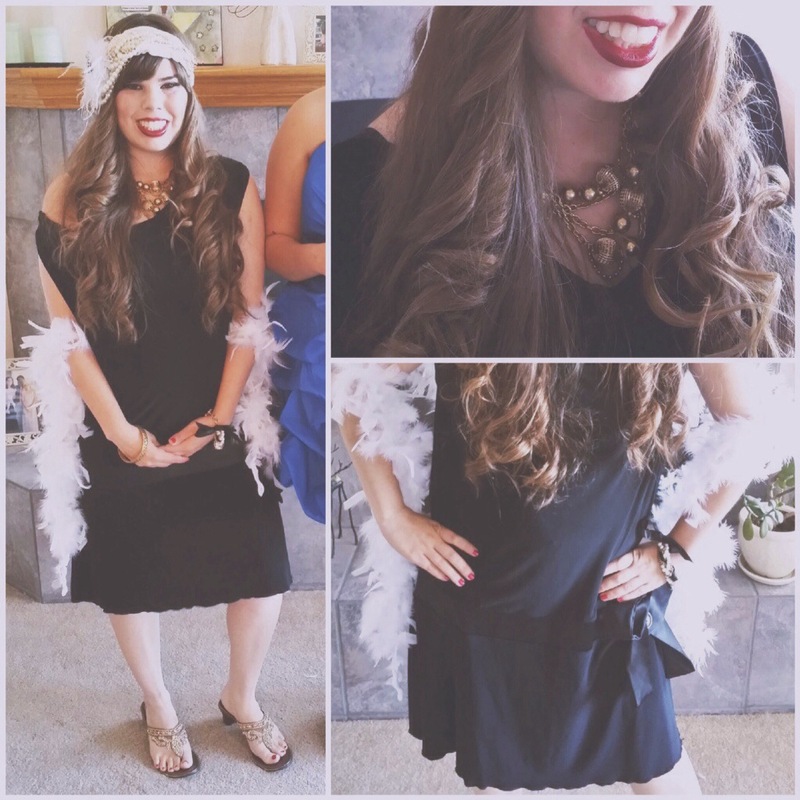 I had a blast taking her out shopping last week at different antique and thrift stores. We ended up buying the very first dress that she tried on from The Highway 41 Antique Emporium in Morro Bay. We also found the perfect shoes there to match! We paid only $24 for the dress and shoes together! We had a difficult time finding the perfect headpiece so I decided to make one for her! I decided to piece together a lace headband, some pearl necklaces, a decorative white feather, and a broach that belonged to our grandma to make up her beautiful headpiece. Since her dress was a cute and simple black one we really wanted to make her headpiece extravagant! I am really happy with the way it turned out and I think she looked so stunning in it. Her gold necklace, gold bracelet, and pearl/ribbon bracelet are some accessories I had that added the perfect touch. And of course, we had to get a white boa to match the headpiece. Since Breezie has the most amazingly beautiful hair ever, we decided to style it in long pretty curls. 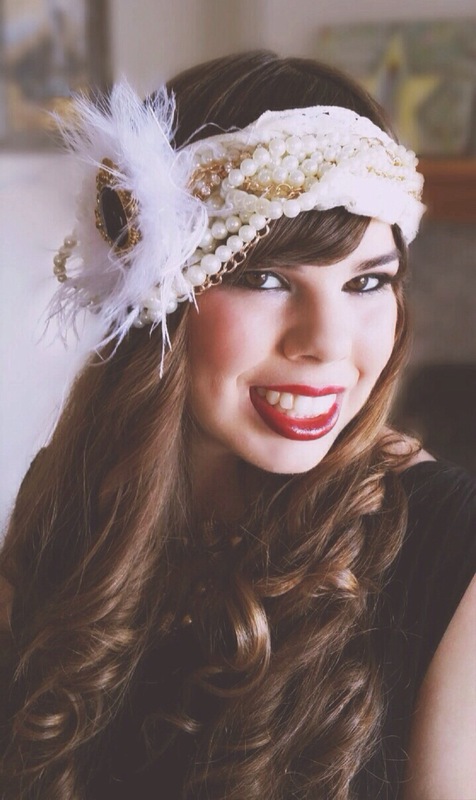 For her makeup, I took inspiration from the classic 1920’s look and did a deep red lip and a smokey eye. My little sister has a heart of gold and her beauty radiates from the inside out. I enjoyed every second of our time together 🙂 I am so proud to call her my sister and every day she brings me so much joy! I love you Breezie Jane!